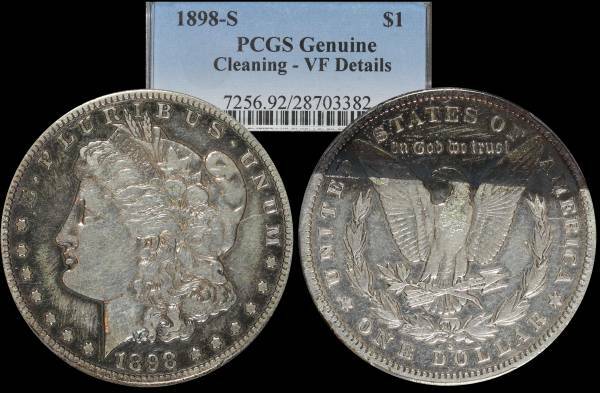 An 1898 S Morgan Dollar that was certified by PCGS as VF Details. PCGS certification number is 28703382. I assume the black/dark area on the coin was there prior to grading, which makes one wonder, why was this coin ever submitted? ?